Who would have thought that the Blessed Mother would choose to come to Fatima, that remote farming village on a rocky slope in Portugal? No one was more surprised than Lucia, Jacinta, and Francisco, the little shepherds to whom she appeared in 1917. In this 27th volume of the acclaimed Vision Books series for youth, readers will be enthralled by the story of the village and its people, of the scornful neighbors and the puzzled parents. 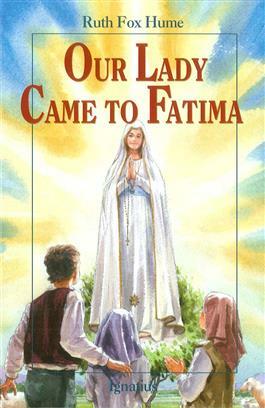 Above all, it is a warm story of three little ones who insisted that Our Lady had indeed come to Fatima, and from whose faith grew one of the greatest spiritual movements of our time. Illustrated.